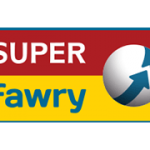 Fawry’s network growth reaches 50,000 points in 300 cities. In just five years Fawry managed to reach 50,000 points all over Egypt. Wherever you are, you will definitely find Fawry kiosks, supermarkets and pharmacies right next door. With over 65 services to pay from; you will never be behind with your bills. One is not only limited to paying through the retail; you also have the option of paying your bills in any of 6,500 ATMs from 14 different banks or from 1,300 post offices all over Egypt. 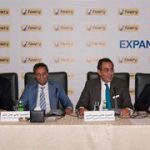 Fawry, Egypt’s first and largest Electronic Payment Network serves consumers and businesses through various channels and thousands of service points all over Egypt. The services available for payments include the following categories: telecom bills, utilities, education, charity, insurance, financial and banks, online payments, tickets and car licenses.